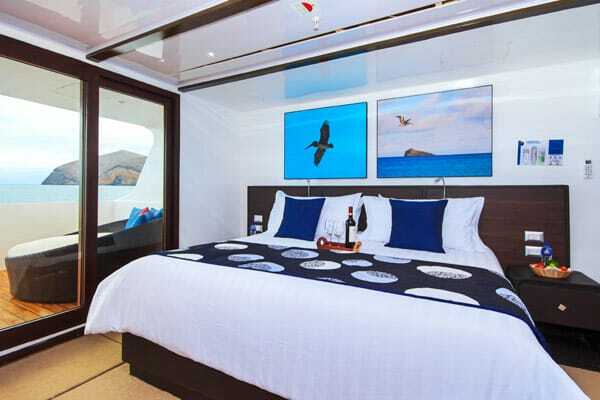 Lower Deck: 2 double cabins. 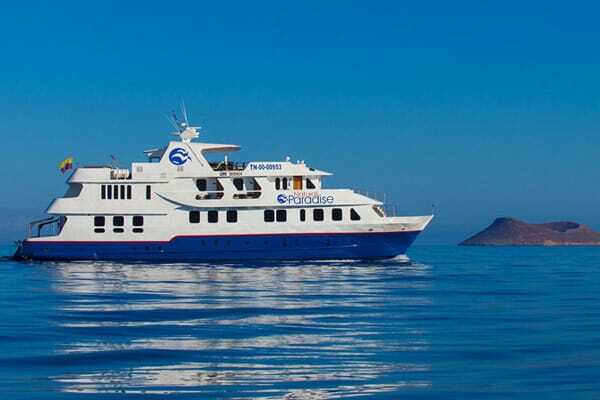 I must confess that words fail me to convey how much we enjoyed the Galapagos cruise aboard Natural Paradise. While no one can control the weather, it was perfect each and every day which added to the enjoyment. The crew were all superb individually, food was excellent, Alejandro was a treasure, as was Tania - everyone did the best job and looked after us perfectly. You'll see I've attached a couple of photos from Richard's birthday. He loved the day, it was fun filled and will live forever in our memories. Please convey our sincerest thanks once more to the crew and to Peter, everyone was so kind and helpful. And the Galapagos was overwhelming - in the best possible way. We, of course, had high expectations but they were far exceeded. Each of the activities was enthusiastically received, and even friends on board who've never spent much time snorkelling loved every minute. As you can tell, the excitement hasn't dimmed in any way and I still get emotional about it as I write this. The Avenue of the Volcanos tour was also excellent thank you. Gabriel and Marcello were great company, and we learned a lot. I must confess to being glad to be back at sea level, we all found the altitude demanding but everyone coped OK in the end. Please also convey our thanks again to them, and our best wishes. Elizabeth, you've done a terrific job for us over many months of planning and annoying you with emails etc. You've handled everything with aplomb, we can't thank you enough. I should also mention again our thanks for the chocolates and the hat for Richard. Those gifts were very thoughtful. 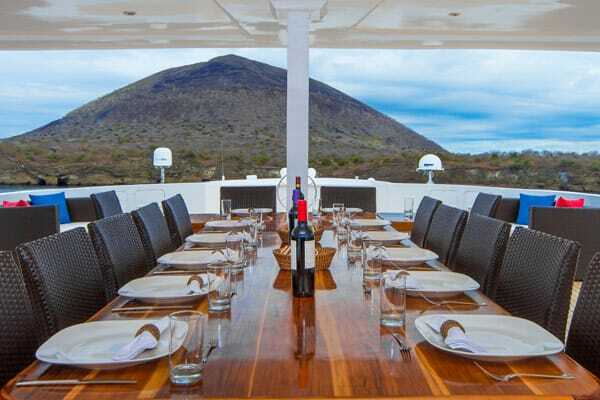 Needless to say, we'd be happy to recommend Galapagos Travel to anyone seeking to do a similar trip. Thank you so very much. Please take care of yourself and keep well. I just want to say “Thank you” for the amazing trip you helped organize and plan. You helped make the trip seamless, stress-free and worry-free. Your excellent communication and organization was beyond exceptional. Thank you for giving my husband and I the trip of a lifetime. I wanted to let you know that we had a spectacular trip on the Natural Paradise! Everything was exceptional. Our last day in Panamá before heading back to Minneapolis. 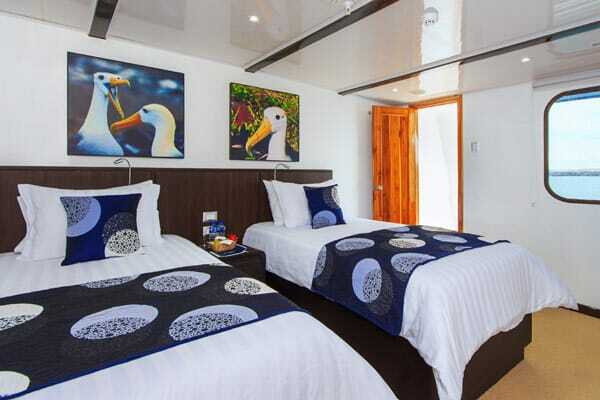 Our vacation within a vacation to Galápagos was extraordinary in its beauty and its learning experience, but also we like to commend you and your company for the professionalism and quality of service, out of 5 stars you get 5. Just want to say thank you. All arrangements went perfectly and we had a very nice trip. 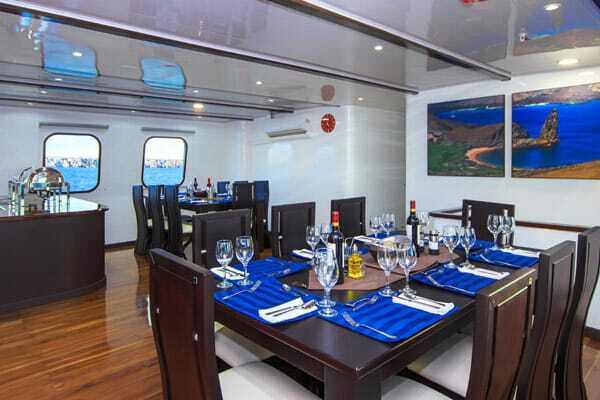 We will recommend you and your company to our friends who want to visit Galapagos in the future. The trip was wonderful. Galapagos is an incredible place. The involved people were very kind. Everything was above my expected. I just wanted to write and say a massive thank you for the most wonderful trip! The service was absolutely outstanding - from beginning to end! Your email correspondence was timely and efficient, the delivery of the Voucher to our hotel was so impressive, and the consultant that met us at the airport had already checked us in, all we had to do was drop off our luggage (which she also helped us do), the guides were fantastic, the crew was super friendly and helpful, the boat was sensational and the islands were just incredible!! 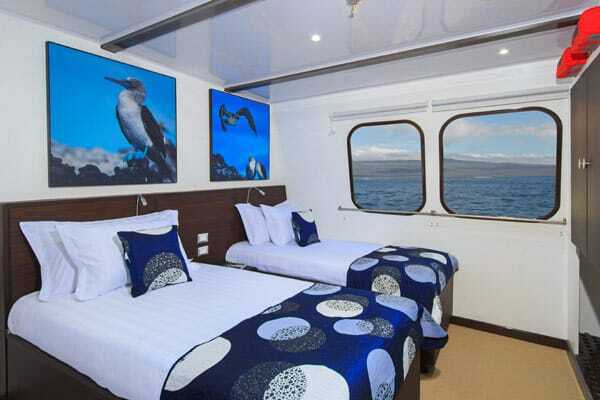 We really had an unforgettable trip and I will certainly recommend Galapagos Travel Center to any and all of my friends and family who are thinking of making the trip. Thanks again and wishing you all the best in the future. 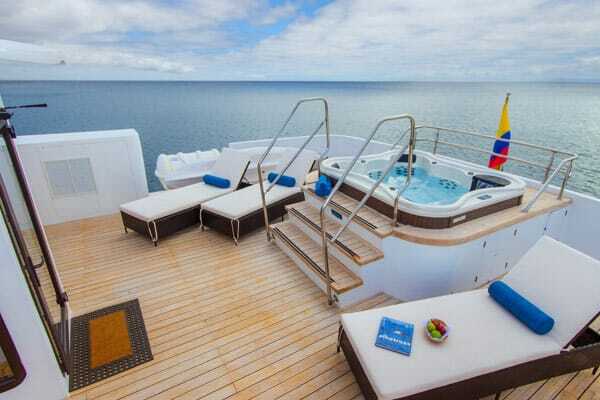 Thank you so much for your help with our vacation to the Galapagos Islands. We had an amazing trip on the Natural Paradise. It couldn’t have been better!! I hope to come back someday with my husband and kids. 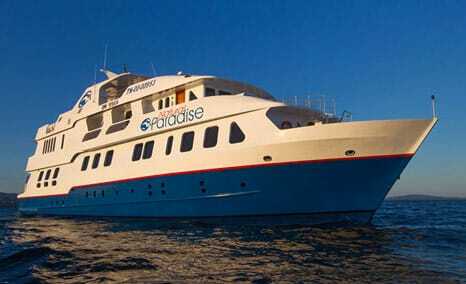 Thank you very much for recommending Natural Paradise. 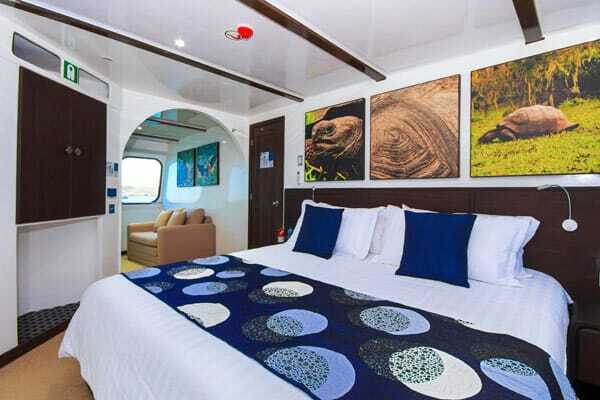 The whole Galapagos experience was fantastic! Marlena Cruz was an incredible guide. The crew and the services on the boat was excellent!